HootSuite is truly an international social media dashboard and we love it that way. Why? Because we find fulfillment from seeing the actions and activities of users all over the world who are helping one another learn how to use the social web to spread messages to audiences from anywhere. We’re working on providing more people a personalized experience in their own language with translation and localization on both iPhone and web versions for HootSuite which is exciting enough to celebrate on your vuvuzela. The original posts are translated from the native languages using the wonders of Google Translate to give you the gist of what they say. HootSuite in the company – This post comes from Germany and the author describes why they have chosen to use HootSuite. They go through the advantages (Vorteile) and disadvantages (Nachteile) of the social media dashboard. Danke for the feedback. HootSuite5, one of the best dashboards for social networks – Benoit Descary is from Montreal and writes that he wasn’t the biggest fan of HootSuite until the introduction of HootSuite5. He goes on to describe many of the new features in the HootSuite5 release and calls HootSuite “a true dashboard for social networks.” Merci Benoit! Twitter web client “HootSuite” of Japanese language , HTML5 support new features – Japanese users are excited about the localized version for their language and in this article, they extol the virtues of HTML 5 including “drag and drop” ability and improved performance along with the Japanese-i-fication. HootSuite | New interface and enhanced features in HTML5 for Social Networks – In this post, Chico Montenegro writes about some of the new features such as geo-location and themes from the HootSuite 5 update. 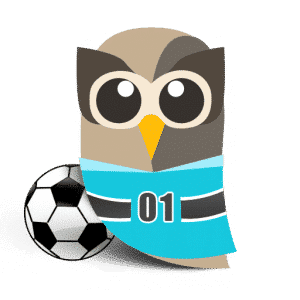 We hope this is helpful for HootSuite fans in Brazil. GeeksRoom Review: HootSuite renovated: The good and the bad – In this frank review of the HootSuite 5 update, Eduardo Wheeler writes that he likes the improved profile view, the themes, as well as the not so new scheduling feature. Eduardo balances the good feedback with the bad and mentions a few other things that he would like to see improved. In the end, Eduardo remains a daily user and recommends HootSuite to professionals managing multiple social media accounts. Do not let technology enslave you – In this provocatively titled post, Leanne Italie shares life-hacking productivity tips from former Google exec and congnitive scientist Douglas C. Merrill incuding using HootSuit to manage your social interactions so they don’t get out of control and control your day. Not much about HootSuite but interesting nonetheless. Techically written in English but TechVibes’ Jeffery Simpson has some fun with Google Translate in writing about HootSuite’s localization: Forgive Babel Fish’s shoddy German, but it just did not feel right to title a post about the addition of localization support to Twitter manager extraordinaire HootSuite without at least trying to make it multilingual. Localization support for Japanese, Spanish, Portuguese and German joins the previous translation services that the application offered in its last update. Remember, you can catch all the HootSuite news via the social bookmark stream and/or by following @hootwatch for the full firehose feed of media mentions.